Set your bike apart from the rest of the pack with our amazing looking fourteen (14) piece Starswept Graphics kit! 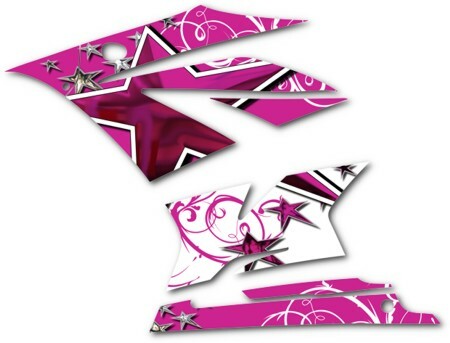 Comments: Ordered the Starswept Graphic Kit for my daughters Ninja 250-R. Emailed Mike a couple of times...making sure that this would definitely fit my daughters motorcycle and he answered back promptly and was very helpful. The Graphic fit to a tee!! I would definitely recommend Auto Trim Design and give them a 100% positive feedback! !